From all of us at the DANA Adobe Cultural Center, we wish everyone a wonderful holiday season! It has been a very exciting and busy year for DANA, and we wish to thank everyone for their ongoing commitment and support. 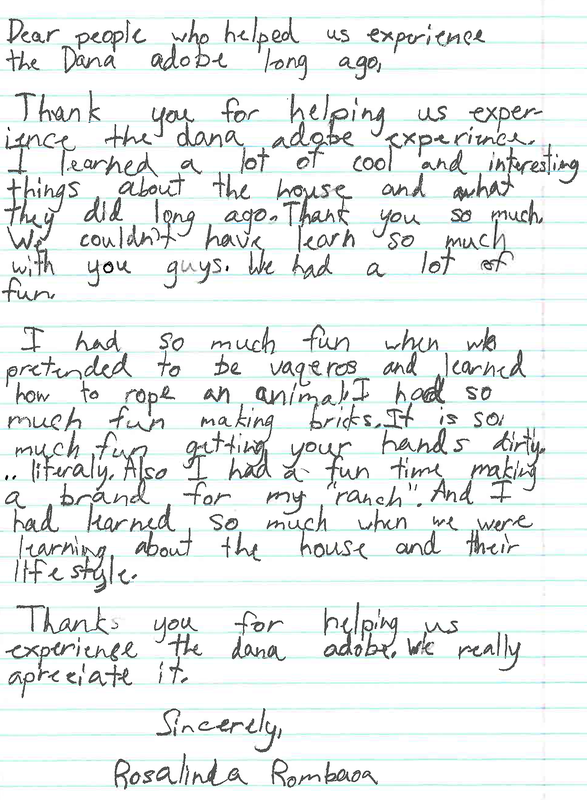 Thanks to our donors, kids like Rosalinda will love, remember and want to come back to the Dana Adobe. This holiday season, every donation made to the DANA Adobe Cultural Center will be matched up to $15,000! Help show your support to DANA and double your impact by donating today!